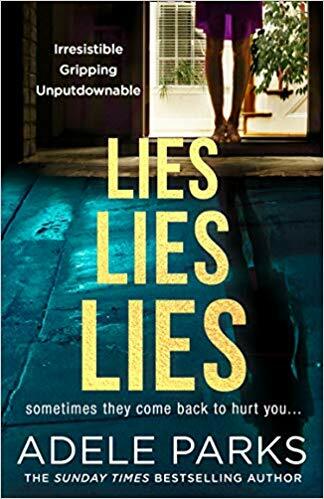 Adele Parks has revealed her thrilling new book for 2019 called ‘Lies Lies Lies’. Daisy and Simon’s marriage is great, isn’t it? After years together, the arrival of longed-for daughter Millie sealed everything in place. A happy little family of three. And so what if Simon drinks a bit too much sometimes – Daisy’s used to it, she knows he’s letting off steam. Until one night at a party things spiral horribly out of control. And that happy little family of three will never be the same again. In ‘Lies Lies Lies’, Adele Parks explores the darkest corners of a relationship in freefall in a mesmerising tale of marriage and secrets. You can pre-order ‘Lies Lies Lies’ from Amazon and will be available to buy from good bookshops from 19th September 2019. ‘Little Darlings’ is Melane Golding’s debut novel. Lauren is alone on the maternity ward with her new-born twins when a terrifying encounter in the middle of the night leaves her convinced someone is trying to steal her children. Lauren, desperate with fear, locks herself and her sons in the bathroom until the police arrive to investigate. When DS Joanna Harper picks up the list of overnight incidents that have been reported, she expects the usual calls from drunks and wrong numbers. But then a report of an attempted abduction catches her eye. The only thing is that it was flagged as a false alarm just fifteen minutes later. Harper’s superior officer tells her there’s no case here, but Harper can’t let it go so she visits the hospital anyway. There’s nothing on the CCTV. No one believes this woman was ever there. And yet, Lauren claims that she keeps seeing the woman and that her babies are in danger, and soon Harper is sucked into Lauren’s spiral of fear. But how far will they go to save children who may not even be in danger? I started this book late on a Saturday evening and I couldn’t put it down until I had reached the final page at 2.30 on Sunday morning. Even at that, I had to leave the book in another room as it’s such an unsettling and creepy tale. The story is seen from the perspective of new mother of twins Lauren and the police detective Harper. Whilst in hospital after giving birth to twins, Lauren is convinced that someone is after her twins and then one day, her fear is confirmed when they are snatched away. Safely returned, Lauren is adamant that the babies are not hers, beginning a quest into proving her sanity and finding her babies. DS Harper is interested in the case, not only is she questioning Lauren’s sanity, but she’s also beginning to see things differently from the new mother’s perspective, making her doubt everything that she believed to be real. This book has to be one of the most unsettling stories that I’ve read in a while, filled with paranoia and suspense, it was impossible to put down. With the story written from both perspectives, we see the struggles of the first time mother, the tiredness and the fear that they could be taken away. She’s paranoid and convinced that someone is watching her every move and after since the night in the hospital when a woman tried to take her babies, she’s terrified that it will happen again. Meanwhile DS Harper is the calmness and the logic in the story, she understands Lauren’s concerns but as the story progresses, we see her opinions change and this makes for extremely interesting reading. This story isn’t just a thriller, it’s also part fairy tale and that really does make for creepy reading which really did unsettle me. 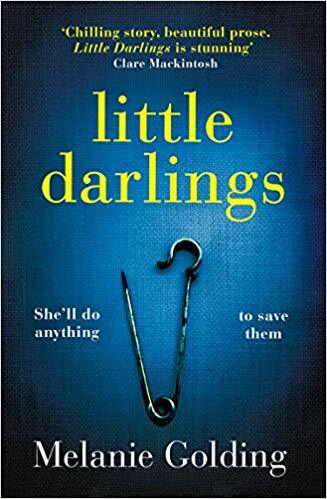 ‘Little Darlings’ is a cleverly written tale of a mother’s nightmare filled with drama, paranoia and an eerie atmosphere from the very first page, this book is a stunner of a debut and shows the length a mother will go to prove her love. You can pre-order ‘Little Darlings’ from Amazon and will be available to buy from good bookshops from 2nd May 2019. ‘The Girl Next Door’ is the latest book by Phoebe Morgan. ‘The Girl Next Door’ is Phoebe Morgan’s second book but this is the first book that I’ve read by her. It’s a thrilling story with multiple narratives that give an interesting slant to the story. The story is seen through the narrative of teenager Clare leading up to her death and then from the perspective of her next door neighbour Jane and the detective investigating her death. To the outside world, Jane has the perfect life married to the local GP, a man most of her female friends lust with a glamorous lifestyle but behind closed doors Jane leads a very different life. She’s anxious and always on edge and wearing long sleeved tops. Meanwhile, DS Madeline Shaw is trying to piece together Clare’s last minutes alive but there are a lot of unanswered questions and suspects that makes Madeline think that Clare’s killer is closer to home, despite what the local community are saying. I really enjoyed this story and thought the multiple perspectives were a clever addition especially Clare’s insight, which gave a completely different version of her life to what others thought. It was fast paced, riddled with suspense and suspicious characters that made everyone a suspect in the chilling tale. 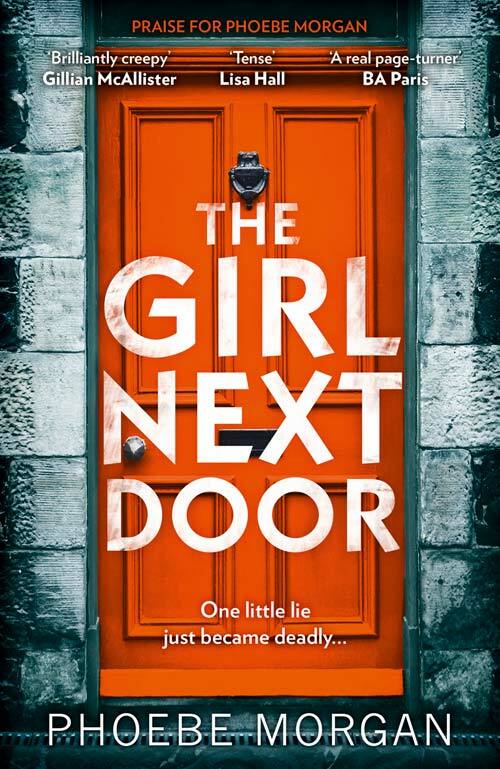 A sharp and well plotted story that really pulls the reader in, ‘The Girl Next Door’ is a dark story weaved with secrets and lies made for compelling reading. You can buy ‘The Girl Next Door’ from Amazon and is available to buy from good bookshops. ‘I Invited Her In’ is the latest book by Adele Parks. When Mel hears from a long-lost friend in need of help, she doesn’t hesitate to invite her to stay. Mel and Abi were best friends back in the day, sharing the highs and lows of student life, until Mel’s unplanned pregnancy made her drop out of her studies. Now, seventeen years later, Mel and Abi’s lives couldn’t be more different. Mel is happily married, having raised her son on her own before meeting her husband, Ben. Now they share gorgeous girls and have a chaotic but happy family home, with three children. Abi, meanwhile, followed her lover to LA for a glamorous life of parties, celebrity and indulgence. Everything was perfect, until she discovered her partner had been cheating on her. Seventeen years wasted, and nothing to show for it. So what Abi needs now is a true friend to lean on, to share her grief over a glass of wine, and to have some time to heal. And what better place than Mel’s house, with her lovely kids, and supportive husband. ‘I Invited Her In’ is Adele’s first book with her new publisher HQ Stories and it’s already sailing up the bestseller charts. The story is primarily seen through the narrative of university best friends Abi and Mel, who did everything together, until Mel became pregnant at university and took time off to have her baby. Their friendship grew apart until nearly 18 years later, Abi gets back in touch wanting to meet as she’s going through a messy divorce. Mel feels guilty that she left her best friend at university and welcomes her into her family with open arms but nothing can prepare her for what her best friend has in store. I adored this book, it consumed me. It kept me up at night and then at every quiet opportunity, I would seize it for a little bit more reading time. The characters are fantastic. Mel is a traditional mother, who’s priority is her family and their welfare, but when Abi comes into her life again she’s in awe of it. Abi was once part of a celebrity power couple in America and Mel is transfixed by the stories and glamour that Abi regales to her, Mel also feels that she owes Abi after leaving her at university and never telling her who the father of her eldest son is. Whilst Abi is a scorned woman who’s heart is broken after catching her husband with a much younger woman. Distraught that her dream life is over and the possibility of ever having children has been taken away, she finds solace in the chaos of Mel’s life. The twist in narratives make ‘I Invited Her In’ make for a complex and compulsive reading as both women have ulterior motives for getting back in touch with each other and this does make for shocking and thrilling reading. 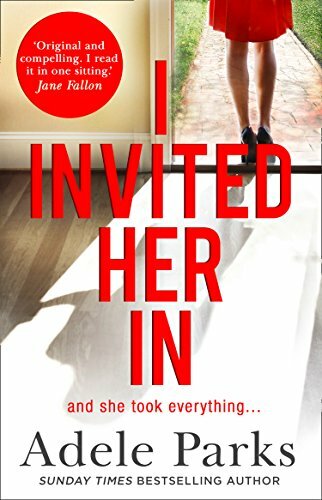 With almost every chapter ending on the a cliff hanger and with an ending that will leave you bursting for more ‘I Invited Her In’ is a cleverly written and observational story about the dynamics of female friendship. Riddled with jealousy, deceit and suspense throughout, this book is Adele Parks at her very finest. You can buy I Invited Her In from Amazon and is available to buy from good bookshops. 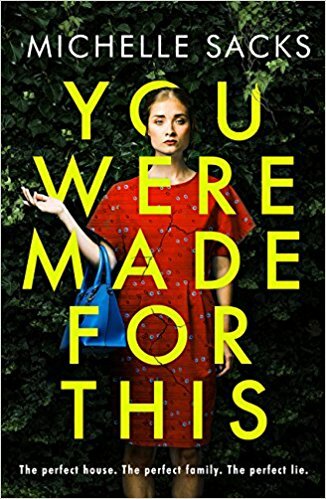 ‘You Were Made For This’ is Michelle Sacks’ debut novel. Doting wife, devoted husband, cherished child. Merry, Sam and Conor are the perfect family in the perfect place. Merry adores baking, gardening, and caring for her infant son, while Sam pursues a new career in film. In their idyllic house in the Swedish woods, they can hardly believe how lucky they are. What perfect new lives they’ve built for themselves, away from New York and the events that overshadowed their happiness there. And then Merry’s closest friend Frank comes to stay. All their lives, the two women have been more like sisters than best friends. And that’s why Frank sees things that others might miss. Treacherous things that unfold behind closed doors. But soon it’s clear that everyone inside the house has something to hide. And as the truth begins to show through the cracks, Merry, Frank, and Sam grow all the more desperate to keep their picture-perfect lives intact. When Merry and her husband Sam up stick from New York to Sweden, to the house that his deceased aunt left him. He thinks, it’s the perfect start for them with their new baby Connor, whilst Sam chases the dream of becoming a film director, Merry is left at home with the baby. Whilst Sam is away, Merry struggles with being a mother and pretending that she’s the perfect stepford wife, so when her best friend Frank plans to visit, she jumps at the chance for company. Frank and Merry have a strange relationship. Their best friends but constantly are trying to outdo one another. When Frank visits, she’s surprised at how adept Merry has adjusted to her new life in the middle of no-where, but also finds herself jealous of Merry’s life and wants it for herself. Whilst Merry is trying to hide her struggles of parenthood as well as hide her mistrust of Frank as she settles into her role as Aunt Frank. The story is written through the eyes of Merry, Sam and Frank and gives an insight into all of the characters and how all of them are hiding something and they’re not quite as perfect as we are all lead each other to believe. They are all unsettling in their own ways, Sam’s viewpoint of women and the relationship between Frank and Merry is toxic. Having been friends for 30 years, they know each other’s ticks and pretend to be best friends, but really they prefer to tear each other down, particularly Merry, who’s not as sweet and wholesome as she pretends. The story is set in the wilderness of Sweden and this adds a lonely atmospheric touch to the story, as Merry spends most of her time alone until Frank turns up. You can buy You Were Made for This from Amazon and is available to buy from good bookshops.